Here is a for real question why was Tre Boston free agent the entire season? He played for Arizona last year. He’s a FA now, though. He signed a 1 year deal at the end of last offseason. I have no clue why we didn't pursue him. He was here the previous year for a visit, but signed in San Diego and had a great year. Boston has solid all around skills and with the team playing so many overages with three safeties, he would be an ideal center-fielder. Why not try to get him? I was not a fan of the Morgan Burnett signing. I am all for moving on. Burnett is a solid player, just not an ideal fit here in Pittsburgh in my humble opinion. He also has a history of injuries that popped up as well. Boston helps our back-end with consistency and the ability to allow Davis to play up on the ball (in the box) where he has been most successful thus far. 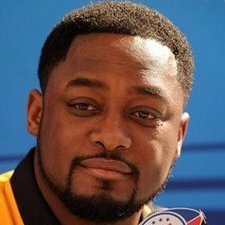 The Steelers have bounced Davis around like a pin-ball since he was a rookie and he has never been able to rest and learn one position. I am a Davis fan and thought that he could have been special in our system with his intelligence and athleticism. I have over-stated his talent based on his play thus far. While no where near a super-star, I do believe that Davis can still be very effective with the right veteran working alongside of him. The trio of Davis, Edmonds, and a veteran like Boston or even The Honey Badger turns a weakness into a strength. Neither of those players would be cheap, but for what they paid for Burnett, I could see paying a little more to one of them to tighten the back end of the defense. I think either of those two would be a better fit. The team would have speed to cover an athletic TE, size and strength for tackling against the run and a someone to prevent teams from consistently throwing deep. For as much speed and athleticism that the Steelers have with Edmonds and Davis, they both let WR's get behind them at various times last season. Having a veteran like Boston would help tremendously there from an experience and savvy standpoint.